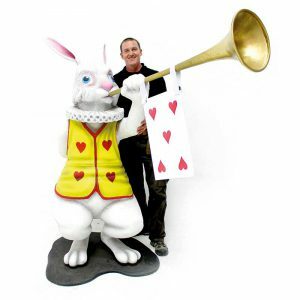 Alice in Wonderland VIP Entrance Sign to hire. 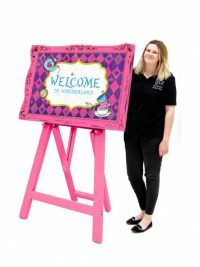 This brightly coloured frame and easel with an Alice themed VIP Entrannce insert would create a fantastic first impression for guests entering your Alice in Wonderland themed event or party. We also have a similarly themed Welcome sign (below). 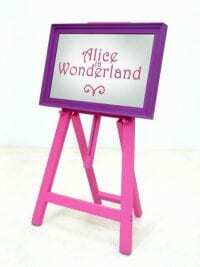 This brightly coloured frame and easel would make the perfect first impression on guests entering your Alice in Wonderland themed event party. 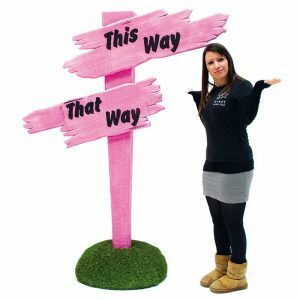 Sign can be personalised for your event as an optional extra. Art Deco Style VIP Entrance Sign to hire. This lovely Art Deco style sign is the perfect prop for welcoming your guests to your themed event. The frame sits on a black freestanding A-Frame easel. Art Deco Style Welcome Sign to hire. A freestanding black Welcome to Hollywood sign with gold glittered lettering. Caribbean Welcome Sign to hire. 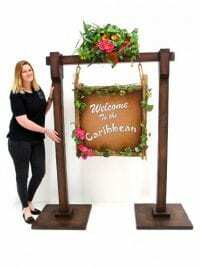 This freestanding Caribbean welcome sign is the perfect prop to welcome your guests to your event or party. 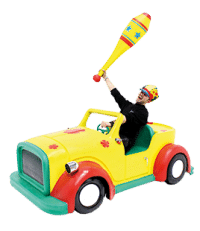 In fact we’ve loads of Caribbean themed props to hire; whether your event is themed as a typical beach or maybe Pirates of the Caribbean. Check some options out below! We also offer a customised version of the Caribbean Welcome Sign. 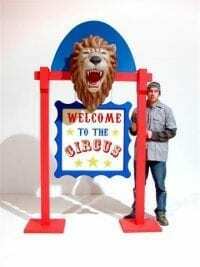 Circus Welcome Sign Prop to hire. A perfect welcome for your guests to your Circus themed party event. 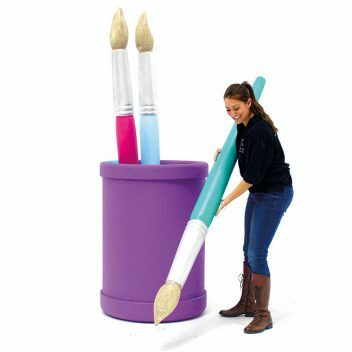 Prop is freestanding and is easy to assemble without tools. 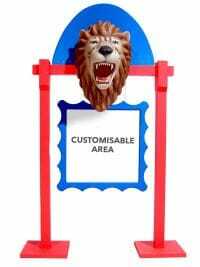 We also offer a customised version of the Circus Welcome Sign. Customised Large Rustic Frame with Custom insert for hire. 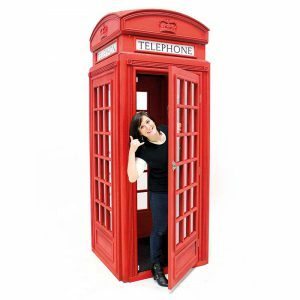 This is a superbly versatile prop that you can customise for just about any theme you want. It can be used in a landscape or portrait orientation, as pictured opposite. 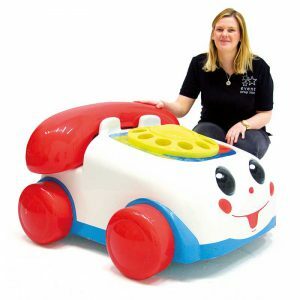 The price quoted includes the cost of the customisation, as long as you supply print ready artwork. 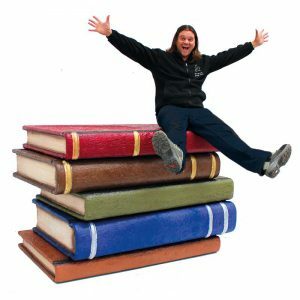 We supply a printed insert made from 2mm thick white foamed board. This slots into the frame from the side. We also offer this customisable black frame in Small and Medium. This product is also available as a simple black frame without the Rustic Outer Frame. We can create the customised artwork for your event. 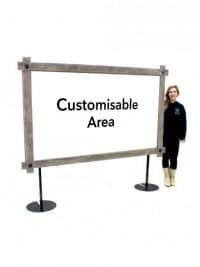 We have a highly skilled team of graphic designers who can help you with the customisation of our Customised Large Rustic Frame. We can design customised graphics to suit your event theme. Contact us for more details. Customised Medium Rustic Frame with Custom insert for hire. We also offer this customisable black frame in Small and Large. We can create the customised artwork for your event. 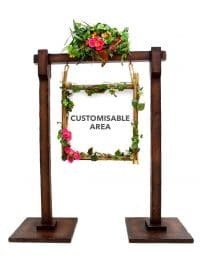 We have a highly skilled team of graphic designers who can help you with the customisation of our Customised Medium Rustic Frame. We can design customised graphics to suit your event theme. Contact us for more details. Customised Small Rustic Frame with Custom insert for hire. We also offer this customisable black frame in Medium and Large. We can create the customised artwork for your event. 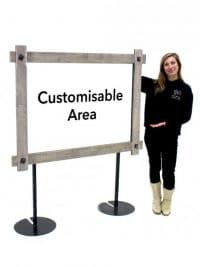 We have a highly skilled team of graphic designers who can help you with the customisation of our Customised Small Rustic Frame. We can design customised graphics to suit your event theme. Contact us for more details. 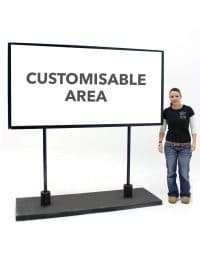 Customised Large Black Frame with Custom insert for hire. This product is also available with a clip on Rustic Outer Frame. We can create the customised artwork for your event. 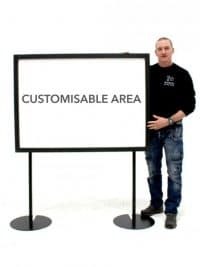 We have a highly skilled team of graphic designers who can help you with the customisation of our Customised Large Black Frame. We can design customised graphics to suit your event theme. Contact us for more details. Customised Medium Black Frame with Custom insert for hire. We can create the customised artwork for your event. 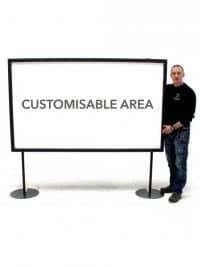 We have a highly skilled team of graphic designers who can help you with the customisation of our Customised Medium Black Frame. We can design customised graphics to suit your event theme. Contact us for more details. Customised Small Black Frame with Custom insert for hire. We can create the customised artwork for your event. 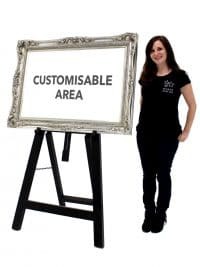 We have a highly skilled team of graphic designers who can help you with the customisation of our Customised Small Black Frame. We can design customised graphics to suit your event theme. Contact us for more details. Customised Circus Welcome Sign for hire. We supply a laminated print on vinyl applied to 2mm thick white foamex board. This slots into the Circus style frame. We also have a pirate, jungle, rustic wood, industrial and Caribbean themed customisable sign options available. We can create the customised artwork for your event. We have a highly skilled team of graphic designers who can help you with the customisation of our Circus Welcome Sign. We can design customised graphics to suit your event theme. Contact us for more details. Customised Floral Caribbean Welcome Sign for hire. We supply a laminated print on vinyl applied to 2mm thick white foamex board. This slots into the Caribbean style frame. 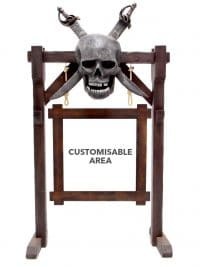 We also have a pirate, jungle, rustic wood, industrial and circus themed customisable sign options available. We can create the customised artwork for your event. 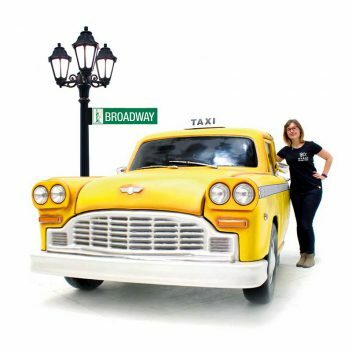 We have a highly skilled team of graphic designers who can help you with the customisation of our Caribbean Welcome Sign. We can design customised graphics to suit your event theme. Contact us for more details. 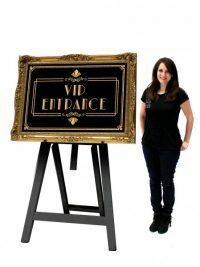 Customised Ornate Black Frame Welcome / VIP Sign for hire. We supply a laminated print on vinyl applied to 3mm thick black foamed board. This slots into the back of the VIP / Welcome Sign. The frame sits on a black easel. We also offer this frame in Black, Gold, Silver, Purple and Pink. We can create the customised artwork for your event. 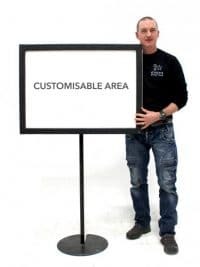 We have a highly skilled team of graphic designers who can help you with the customisation of our Black ornate frame VIP / Welcome Sign. We can design customised graphics to suit your event theme. Contact us for more details. Customised Ornate Pink Frame Welcome / VIP Sign for hire. This Gold Framed custom sign is also available on a white easel. We also offer this customisable frame in Black, Gold, Silver and Purple. We can create the customised artwork for your event. 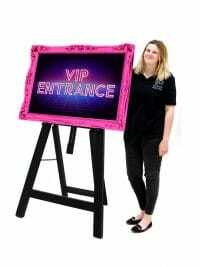 We have a highly skilled team of graphic designers who can help you with the customisation of our Pink ornate frame VIP / Welcome Sign. 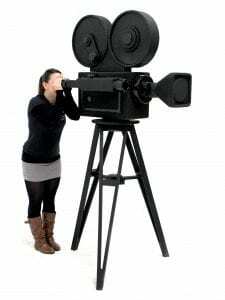 We can design customised graphics to suit your event theme. Contact us for more details. Customised Ornate Purple Frame Welcome / VIP Sign for hire. We also offer this customisable frame in Black, Gold, Silver and Pink. We can create the customised artwork for your event. We have a highly skilled team of graphic designers who can help you with the customisation of our Purple ornate frame VIP / Welcome Sign. We can design customised graphics to suit your event theme. Contact us for more details. Customised Ice Effect Frame Welcome Sign for hire. We supply a laminated print on vinyl applied to 5mm thick white foamex board. This slots into the back of the frozen ice effect frame. The Frame sits on a White Easel. We can create the customised artwork for your event. 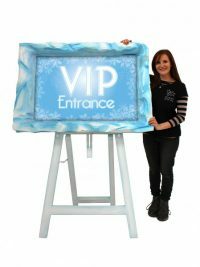 We have a highly skilled team of graphic designers who can help you with the customisation of our Frozen Ice Welcome / VIP Sign. We can design customised graphics to suit your event theme. Contact us for more details. Customised Giant Illuminated Light Box Sign with Custom insert for Hire. 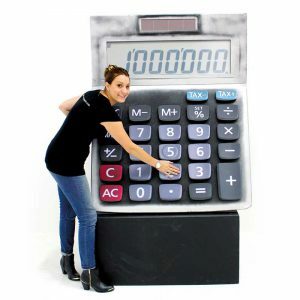 We supply an insert made from a 3mm thick partially translucent plastic that can be backlit. This custom insert slots into the light box. The light box is internally illuminated by LED’s and is powered by a 3 pin domestic style power plug. it is possible to change the colour or the LED’s via a control panel attached to the lightbox. We can create the customised artwork for your event. We have a highly skilled team of graphic designers who can help you with the customisation of our Giant Illuminated light box Sign. We can design customised graphics to suit your event theme. Contact us for more details. Alternatively you can customise this product yourself then we can take care of the printing for you, we just need your artwork. We offer downloadable artwork templates to help you create print ready artwork, accessible via the download links below. This is recommended to be a black and white two-tone design however it can also be a full colour print however this will wash with the intensity of the light. 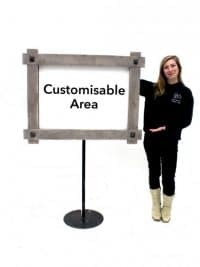 Customised Industrial Framed Welcome Sign for hire. We supply a laminated print on vinyl applied to 2mm thick white foamex board. This slots into the Industrial style frame. We also have a pirate, jungle, circus, rustic wood and Caribbean themed customisable sign options available. We can create the customised artwork for your event. We have a highly skilled team of graphic designers who can help you with the customisation of our Industrial Welcome Sign. We can design customised graphics to suit your event theme. Contact us for more details. 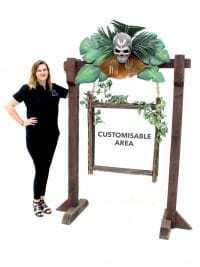 Customised Jungle Welcome Sign for hire. We supply a laminated print on vinyl applied to 2mm thick white foamex board. This slots into the Jungle style frame. We also have a pirate, Caribbean, rustic wood, industrial and circus themed customisable sign options available. We can create the customised artwork for your event. 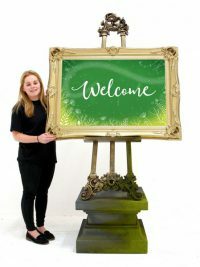 We have a highly skilled team of graphic designers who can help you with the customisation of our Jungle Welcome Sign. We can design customised graphics to suit your event theme. Contact us for more details. Customised Ornate Gold Frame Welcome / VIP Sign for hire. We also offer this customisable frame in Black, Silver, Purple and Pink. We can create the customised artwork for your event. We have a highly skilled team of graphic designers who can help you with the customisation of our Gold ornate frame VIP / Welcome Sign. We can design customised graphics to suit your event theme. Contact us for more details. We supply a laminated print on vinyl applied to 3mm thick black foamed board. This slots into the back of the VIP / Welcome Sign. The frame sits on a white easel. This Gold Framed custom sign is also available on a black easel. 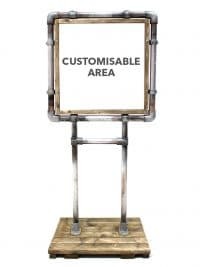 Customised Ornate Silver Frame Welcome / VIP Sign for hire. This Silver Framed custom sign is also available on a white easel. We also offer this customisable frame in Black, Gold, Purple and Pink. We can create the customised artwork for your event. 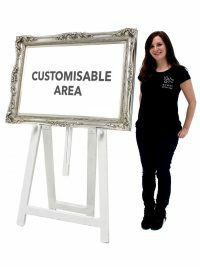 We have a highly skilled team of graphic designers who can help you with the customisation of our Silver ornate frame VIP / Welcome Sign. We can design customised graphics to suit your event theme. Contact us for more details. This Silver Framed custom sign is also available on a black easel. Customised Pirate Welcome Sign for hire. We supply a laminated print on vinyl applied to 2mm thick white foamex board. This slots into the Pirate style frame. We also have a Caribbean, jungle, rustic wood, industrial and circus themed customisable sign options available. We can create the customised artwork for your event. We have a highly skilled team of graphic designers who can help you with the customisation of our Pirate Welcome Sign. We can design customised graphics to suit your event theme. Contact us for more details. 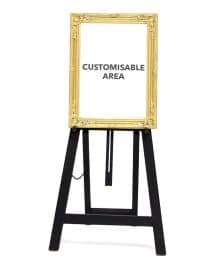 Customised Ornate Small Gold Frame Welcome / VIP Sign for hire. 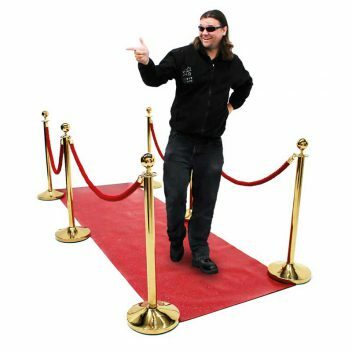 We have a full range of different VIP / Welcome signs for your events. We can create the customised artwork for your event. 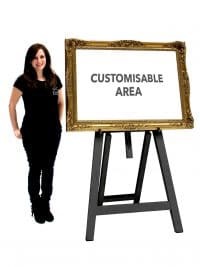 We have a highly skilled team of graphic designers who can help you with the customisation of our ornate frame VIP / Welcome Sign. We can design customised graphics to suit your event theme. Contact us for more details. 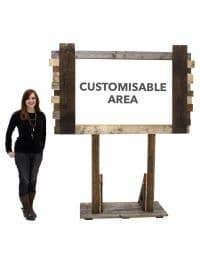 Customised Rustic Wood Framed Welcome Sign for hire. We supply a laminated print on vinyl applied to 2mm thick white foamex board. This slots into the Reclaimed Pallet Wood frame. We also have a pirate, jungle, circus , industrial and Caribbean themed customisable sign options available. 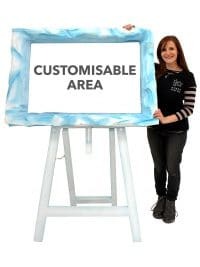 We can create the customised artwork for your event. 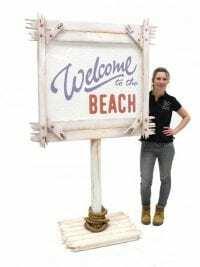 We have a highly skilled team of graphic designers who can help you with the customisation of our Rustic Wooden Welcome Sign. We can design customised graphics to suit your event theme. Contact us for more details. Fairytale Welcome Sign On Plinth to hire. This is a lovely ornate VIP Entrance sign that is stood upon a stone and moss effect plinth. 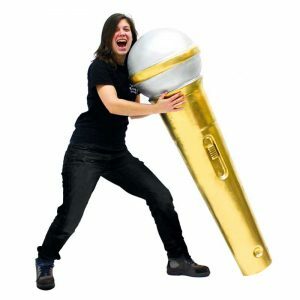 It would look amazing at the entrance to your event or party. So whether your event is Fairytale or English Country Garden this sign will certainly greet your guests in style. Please be aware that the detailing of this prop may vary slightly. This is a lovely ornate welcome sign that is stood upon a stone and moss effect plinth. 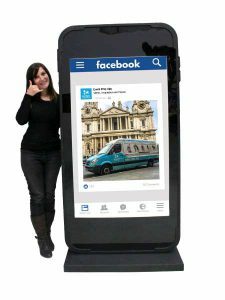 It would look amazing at the entrance to your event and is fully customisable (for a small extra charge) for your event or party. So whether your event is Fairytale, English Country Garden or Venetian, this welcome sign will certainly welcome your guests in style. Please be aware that the detailed style of this prop that you receive may vary slightly.